SNAP is a U.S. Department of Agriculture (USDA) program administered by the USDA Food and Nutrition Service (FNS) division. 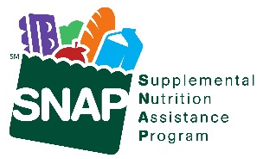 SNAP offers food assistance to eligible, low-income individuals and families. Seneca County DJFS processes SNAP applications and determines eligibility. Please click here more details regarding eligibility in the SNAP program. If you need EMERGENCY Food Assistance, please come to our agency. We may be able to process your application the same day and provide you with referrals to other local resources. Click here for our hours and location. An agency representative will contact you for an interview to process your application. Certain items such as citizenship, income, resources and expenses must be verified. Normal processing requires that benefits be issued or the application be denied within 30 days. Once approved, many individuals may be required to participate in our SNAP Employment & Training program in order to continue receiving SNAP benefits.